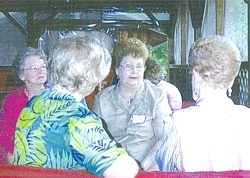 Tours feature highlights of the Mill's history and observations of it's structure and machinery. 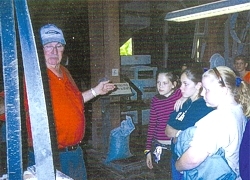 Frequently, there are demonstrations showing corn being ground into meal. 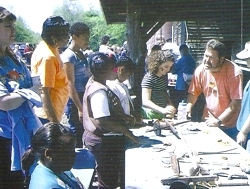 An Archeologist demonstrates Native American tools to a scout group. 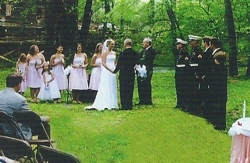 The beautiful natural setting attracts many couples for this special event. 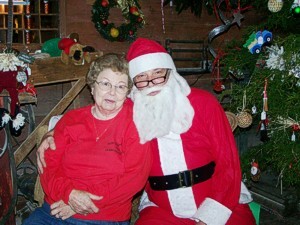 Families and friends gather for picnics and reunions in the relaxing atmosphere of the park. 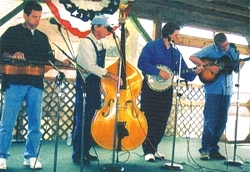 Gospel, country and bluegrass groups perform for special events.